So summer is well and truly behind us, and once again I’m struck with that old familiar bittersweet feeling. There’s a touch of melancholy now the hot weather is over and the nights are drawing in, but also the sense of joy and anticipation because autumn is one of the best times of year for a cinephile. As the award season revs up, there’ll be plenty of films to get stuck into, and I don’t need to feel so guilty about sitting indoors watching movies now the cold is setting in. As if on cue, two Oscar-y looking movies are screening in Brno this month, along with another that caused a bit of a stir at Cannes. 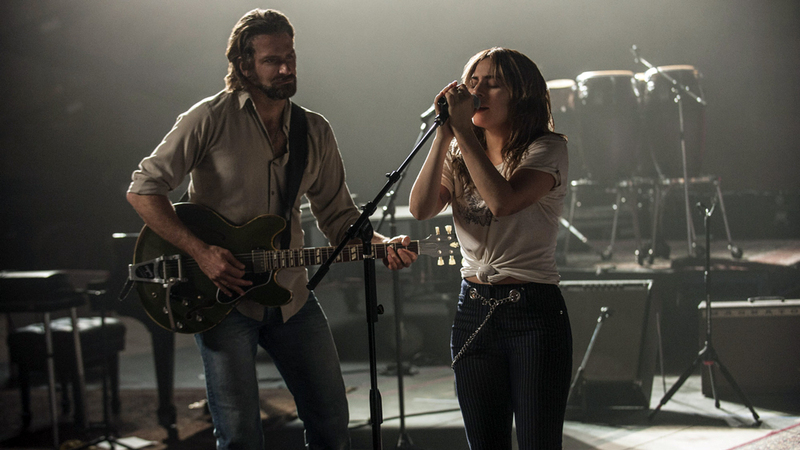 Bradley Cooper makes his directorial debut with A Star is Born, a romantic musical where he also stars alongside Lady Gaga in her first lead role. Cooper plays a hard drinking country musician who discovers a promising young singer and helps her achieve stardom, while also falling for her along the way. It’ll be interesting to see what the two relative newbies bring to the material, as this is the third remake of William A. Wellman’s 1937 glossy melodrama. The original was a straight up drama about an aspiring actress – rather than a singer in the two most recent iterations – and a has-been actor who helps her reach the top while his career is going in the other direction. Janet Gaynor and Fredric March played the leads in the first colour film to get nominated for Best Picture. The 1954 musical version, starring Judy Garland and James Mason, is perhaps the best known version. It was Garland’s big comeback after serious personal issues led to her parting ways with MGM four years earlier, and it’s one of those big, barnstorming Hollywood performances that cemented her status as an icon. The story got another update in 1976 with Barbra Streisand and Kris Kristofferson. It made a ton of money off a fairly modest budget, but critics weren’t hugely impressed – made during Peak Streisand in the mid-seventies when she seemed intent on conquering movies as well as music, some saw it as a massive vanity project for the star. With showstoppers like Garland and Streisand previously attached to the role, Lady Gaga has some pretty gigantic diva-sized boots to fill. She’ll be alright though – the early form suggests that she’ll be a good shout for a Best Actress nomination by the time the Oscars roll round. Damien Chazelle is a director I’ve yet to get onboard with. I found his previous two films, Whiplash and La La Land, massively overrated. Don’t get me wrong – they’re both really enjoyable, well made films featuring some pretty decent performances, but I didn’t think either movie deserved all the praise and award nominations lavished upon them. Especially La La Land, with a record equaling – and frankly ludicrous – 14 Oscar nominations. Maybe First Man will be the film where I finally click with Chazelle’s style. The acclaimed young director re-teams with his La La Land star Ryan Gosling for this biographical adventure telling the story of astronaut Neil Armstrong who was – the clue’s in the title – the first man to set foot on the moon. The film went down well on the festival circuit, and early reviews suggest it has plenty of emotional heft to go with the inevitable derring do and spectacle, so it promises to offer some pretty stirring stuff. One movie that almost certainly won’t be troubling the ballots of Academy Award voters this year will be The House That Jack Built, the latest from cinema’s arch-provocateur, Lars von Trier. 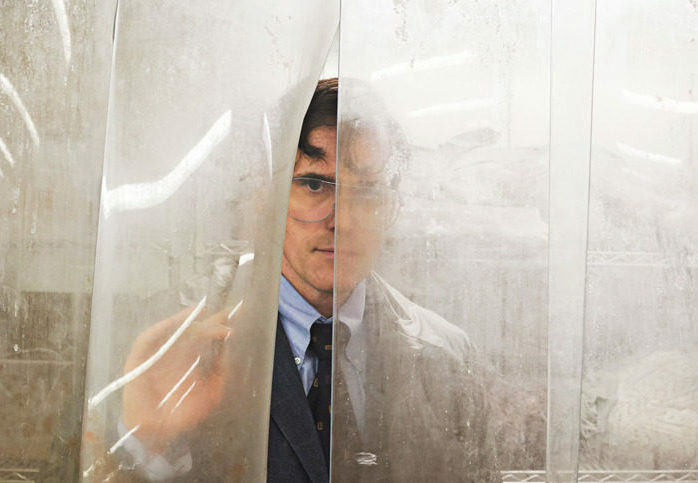 Following up from his last outrage-baiting epic, the four hour (or five-and-a-half hour, depending which cut you see) Nymphomaniac, The House that Jack Built follows the development of a serial killer (Matt Dillon) through a series of gruesome murders. The film promises to go down like a cup of cold sick with those easily scandalized, and von Trier will no doubt be rubbing his hands with glee (if indeed a man like von Trier is capable of feeling ‘glee’) at reports that around 100 people walked out of a screening at Cannes. The hardy souls who managed to remain in their seats treated it to a six minute standing ovation. Apparently, von Trier has said that The House that Jack Built “celebrates the idea that life is evil and soulless”, so it sounds like a real laugh riot. Personally, I find his films pretentious and tedious rather than shocking or titillating, but I do kind of appreciate him for being totally uncompromising and just making the films he wants to make. Plus he made Melancholia, perhaps the best film ever made about depression – I have friends who have suffered with the illness all their lives, so I thought that movie depicted the disorder brilliantly.